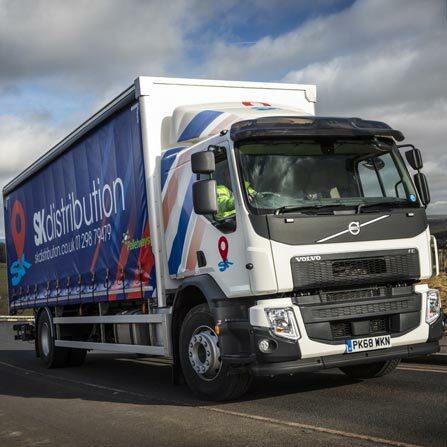 SK Distribution is a dynamic transport company with a highly skilled team in the rapidly changing industry of Storage and Distribution throughout the world. 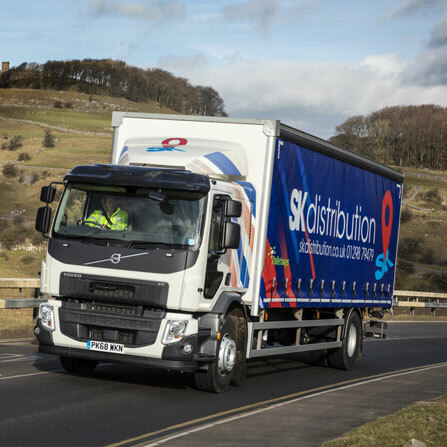 With many years of combined market leading experience coupled with cutting edge IT systems, whatever the customer needs when it comes to moving goods or storing goods anywhere in the world SK Distribution can always help. We are conveniently located south of Manchester in the beautiful spa town of Buxton, yet we have close access to the motorway networks on both sides of the country. We operate a class leading environmentally friendly fleet of vehicles (All meet Euro 6 Emission Standards). 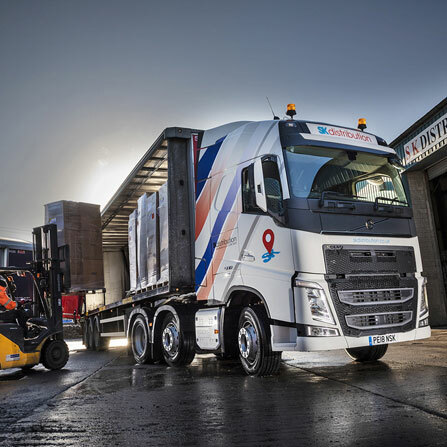 SK is also a member of the Palletways network, affording our customers instant access further afield, you get the local touch with no call centres. SK Distribution specialise in Express Pallet Delivery throughout the UK, Ireland, Europe and Scandinavia the largest express pallet network in Europe consisting of over 270 members across Europe, with leading IT and multi-lingual communication, we have standardized sending goods abroad. Express Pallet Delivery –UK, Ireland, Europe & Scandinavia. Online dispatch, ordering, tracking and final POD service. Storage – Full warehousing facilities. Fully flexible – Containers, RH&D, Pick & Pack and Fulfilment with late cut-off times. FTL & LTL – Techy words for Full Load and Part Load deliveries all over Europe. Air Freight – Direct door to door with rapid transit times straight out of any UK Airport. Sea Freight – Import/Export (We do both from most UK ports).